OE Attachments is the exclusive partner of Kaup products in North America. Based out of Germany, Kaup has been a family-owned and operated business for over three centuries. In the early 1960’s when the company was headed by Otmar Kaup, the product line was expanded to include attachments for forklifts. To this day, Kaup specializes in the manufacturing of a wide array of hydraulic forklift attachments such as sideshifters, fork positioners, clamps, multi-pallet handlers, rotators, push/pulls, telescopic forks, and much more. The combination of Kaup’s hydraulic attachments and OEA’s premium forks manufacturing, and customization capability ensures that our customers are getting the strongest, most innovative and reliable products offered in the industry. The OEA-Kaup Sideshifter allows for lateral shifting of the load. 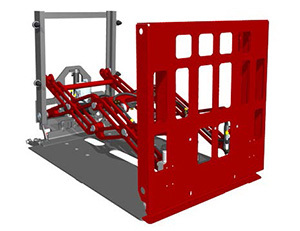 Fork positioners can easily handle loads with varying widths to help meet complex material handling demands. High-Visibility Fork Clamps can be used for transporting palletized goods as well as clamping purposes. Multi-Pallet Handlers are the ideal solution for moving multiple loads at the same time, thus, increasing forklift truck efficiency. 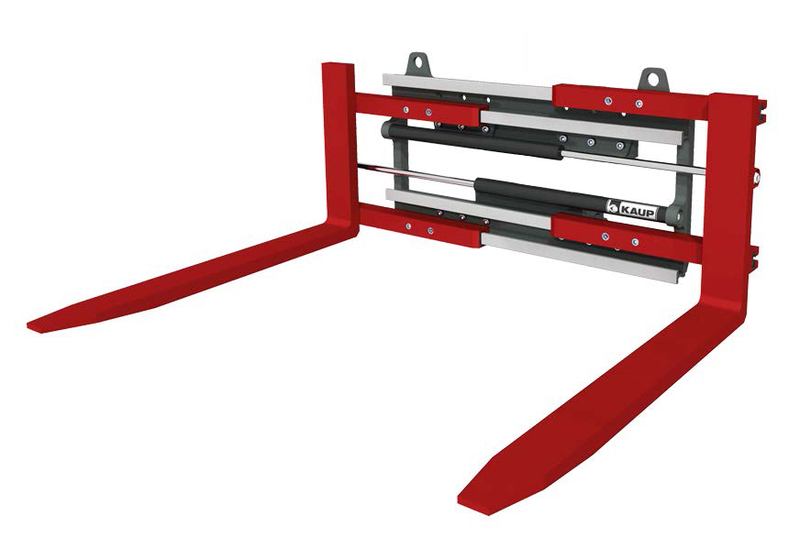 Telescopic Forks enable the stacking of palletized goods to the opposite side of trucks or in double-deep racks. Appliance and Carton Clamps are used worldwide to transport heavy appliances and consumer electronics. Push/Pulls can replace traditional pallets with inexpensive slipsheets when shipping and receiving warehouse loads. Loads carried by forklift trucks often need to be turned, either to empty a container, slide material off a pallet, or set a horizontal load upright.